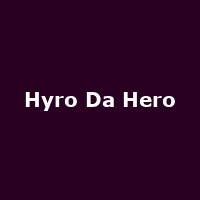 Hyro Da Hero has postponed his UK/ Ireland tour citing "personal reasons". The American rapper/ producer was due over in the UK at the end of next month, with his tour due to start at Sheffield's Corporation on 29th October. Hey Guys. Unfortunately due to some personal issues I will not be able to come to the UK and Ireland in October and November. I am not canceling the tour - just postponing it for a couple months. I am really excited to come back and rock with you all! See you in a few months. And slowly, the new dates start to trickle through, with the first being the rescheduled Glasgow date at King Tut's, now taking place on 9th Feb and a brand new date for Stoke at the Sugarmill on the 12th. Other dates are sure to be announced in the coming days - watch this space and check the gig listing, below.